As compared to many other countries, including the US and countries throughout Europe, the United Kingdom has a relatively new relationship with credit unions, but since their inception in the 1960s, the popularity has grown tremendously. As with other countries, the incorporation of credit unions into the financial system in the UK was established to promote inexpensive and attainable lending and financial services to members. While actual credit unions are relatively new in the UK, the concept of cooperative banking is not. Building societies, for example, have been part of the financial landscape of the United Kingdom since the 18th century. London credit unions, as well as credit unions in surrounding UK towns and cities, are often set up to offer members of an organisation or employees of a particular company the opportunity for mutuality-based banking. Since there are no external shareholders, the concept of the credit union is one that invites the opportunity for each member-owner to benefit from the profitability that may be gained. 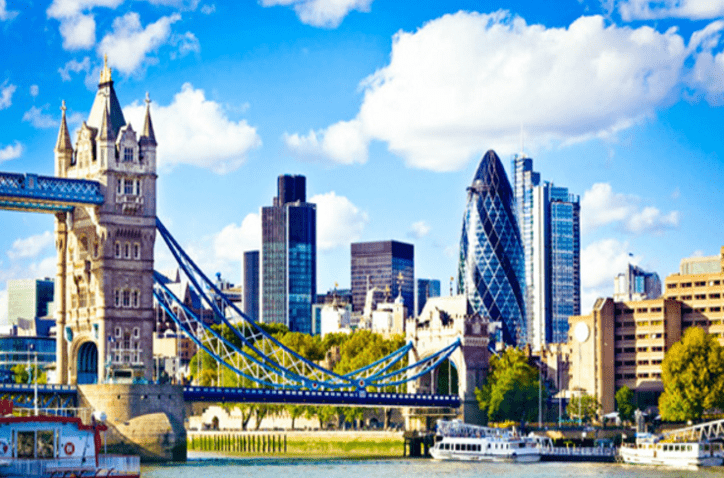 London credit unions can also be an excellent option for consumers who might not otherwise have access to traditional banking or who want the ability to obtain credit at a lower cost than what might be offered through a conventional bank. These are just a few of the many benefits that come with London credit unions and credit unions located in other UK cities. The following list highlights the best credit unions in London, based on a broad range of factors, all of which are intended to be of the utmost importance to the consumer. 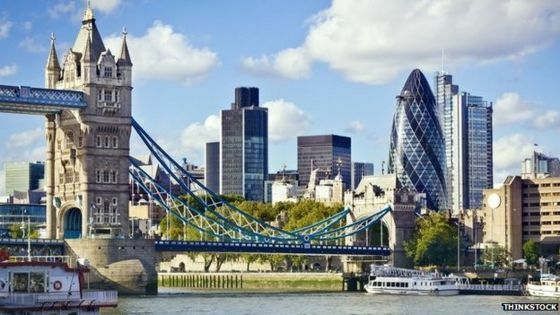 Some of the names on this list include the London Mutual Credit Union and the London Capital Credit Union, as well as some smaller institutions, but all are among the best credit unions London and surrounding UK cities have to offer. Please note that while some credit union sites still list £75,000 as the maximum insurance for deposits,the Financial Services Compensation Scheme recently increased the maximum insurance to £85,000, which is the number we have cited in our review. Please click here “AdvisoryHQ's Ranking Methodologies” for a detailed review of AdvisoryHQ’s selection methodologies for ranking top rated credit cards, financial accounts, firms, products, and services. 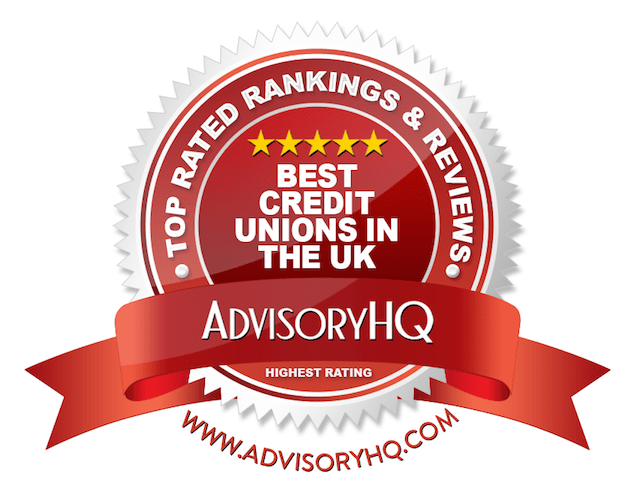 Below, please find the detailed review of each firm on our list of the credit unions in London and other UK cities. We have highlighted some of the factors that allowed these UK credit unions to score so high in our selection ranking. Crownsavers Credit Union is a London not-for-profit cooperative that was started in 1997 and was originally known as the Lewisham Employees’ Credit Union. Crownsavers started out with providing services to the Lewisham Council, and this then grew to the Lewisham University Hospital and Lewisham College. Since 2009, the membership field of Crownsavers has expanded to include anyone who’s employed in the borough of Lewisham. This credit union in London strives to provide financial products and services that are ethically driven and contribute to the community's well-being. Below are key factors that enabled Crownsavers to be rated as one of this year’s best credit unions in London. When a member-owner puts money into an account at Crownsavers, they have the peace of mind that comes with knowing it’s secure. Crownsavers is a member of the Financial Services Compensation Scheme (FSCS), which compensates depositors if a credit union can’t meet its obligations. Depositors, which include not only individuals but also businesses, are covered up to £85,000. The Prudential Regulation Authority authorises Crownsavers, and this top credit union in London is regulated by the Financial Conduct Authority. This leading London credit union is also a member of the Association of British Credit Unions (ABCUL) and the Financial Ombudsman Service. Crownsavers strives to make it straightforward and accessible for members to save their money, whatever their personal goals are. This London credit union offers flexible savings opportunities, and they are also a registered Deposit Taker. Guiding principles that serve as the framework for all Crownsavers savings accounts are safety and strong ethics. 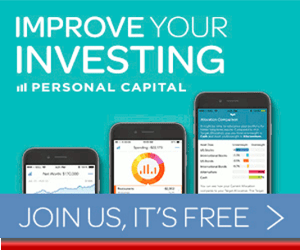 To begin saving with Crownsavers, consumers can join online. The credit union then processes the online application and sends the new member a membership packet within seven working days. Consumers can also visit an office to sign up for a Crownsavers account, or download the application form and send it in. Once someone becomes a member, they only need to keep £5 in their account and deposit £25 every month to maintain their savings. Crownsavers loans are offered exclusively to members. Loans from this London credit union boast many benefits that other conventional banks don't offer. To apply for a loan, a consumer should first become a member of the credit union. Then, they can apply for a Starter Loan to begin the process. Crownsavers features a full selection of lending products, including a Standard Loan, Quick Loan, Car Loan, and Homeowner Loan. As one of the top credit unions in London, they also feature University Loans, which are open to those members who have had an account for at least three months. These loans can be used for young people who are going to be studying at university, as well as adults who are continuing their education. The University Loan from this London credit union can be used to cover not just the cost of tuition, but also the cost of housing, books, and other essentials. University Loans from Crownsavers are revolving for every academic term. They can be topped up to the value every year. The criteria includes earnings of more than £25,000 annually, and there is a borrowing limit up to £8,000. The repayment period can be up to three years. A member-owned financial cooperative, Greenwich & Bexley is a member of the Association of British Credit Unions Ltd. As of September 2015, this leading London credit union had more than 66,000 adult members and a loan portfolio of more than £4 million. Greenwich & Bexley was founded in 1998, initially as Timeline Credit Union Ltd., to serve the needs of Greenwich County employees and pensioners. In 2012, the credit union opted to let people living or working in Bexley to join and also to let organisations become members. Below are key factors that enabled Greenwich & Bexley to be rated as one of this year’s best credit unions in London. For consumers who add their money to a savings account with Greenwich & Beckley, they not only receive excellent dividends and flexible withdrawal options, but there’s the benefit of free life insurance. If a member-owner of this leading London credit union were to pass away, the beneficiary named by that member would receive their savings, as well as an additional amount, which is determined by the age of the member. For example, if the deceased member were aged 16 to 64, that amount would be 100% of their savings, and the amount is 25% for members aged 65 to 79. The maximum savings covered by insurance is £4,000. This credit union also provides free accidental loss insurance for members. This London credit union offers quite a few different loan products, and regardless of the actual product you select, what’s important to note is this institution's focus on responsible lending. What this means is that members of Greenwich & Bexley aren’t charged hidden fees, and there are no fees for early repayment on loan products. The rates are generally cheaper than any other competitor, and the lending team at this socially conscious London credit union works to make sure they are only providing the amount of money the member is reasonably able to pay back. The loans from this London credit union are also designed to help members simultaneously build their savings while they’re paying it back. Their savings is security for the loan. Also available is free loan protection, which covers borrowers who die with an outstanding loan. This protection pays the outstanding balance up to £4,000. One of the many convenient products available from Greenwich & Bexley are prepaid cards, called the Engage Classic Visa debit card. This debit card from this London credit union works like one from a High Street bank, and it can be used to do everything including shopping, paying bills, and saving. It also includes access to the cashback rewards program. It’s free to apply for this prepaid card, and any purchases made in the UK are free. A mobile app is available for card management, and members can earn up to 15% cashback with Engage rewards partners. ATM withdrawal fees in the UK are incredibly low, it’s free to setup a standing order, and this card can be linked to the Engage Envelope Money Management Tool. Greenwich & Bexley is a unique financial institution because, in addition to offering excellent products, they also feature services and helpful guides, so consumers can manage their money most effectively. 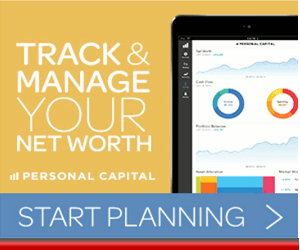 One of the tools that’s especially useful to members is the Loan Calculator. 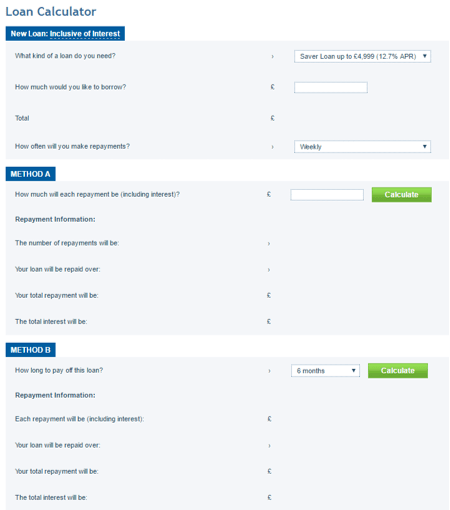 This Loan Calculator is available on this London credit union's website, and it goes far beyond the basics. Members can determine not just what kind of loan they need and how much they’d like to borrow, but they’ll also be able to see how much each payment will be, including interest, the number of repayments, and how long it will take to pay off the loan. Lewisham + Bromley Credit Union was founded in 1992 and was known as ACTS CU Ltd. originally. The credit union merged with Deptford and New Cross Credit Union in 2010. There are more than 9,000 adult members of this London credit union, and membership is available to anyone who lives or works in the boroughs of Lewisham or Bromley. Membership is also open to residents of the SE19 postcode and staff or residents of Lewisham Homes and Phoenix Community Housing Association. Lewisham + Bromley strives to offer friendly customer service, encourage regular savings, and deliver low-cost loans. This credit union in London also works to promote concepts of good money management and the cultivation of a cooperative spirit. Below are key factors that enabled Lewisham + Bromley to be rated as one of this year’s best credit unions in London. A signature offering from Lewisham + Bromley, Smartcash is a prepaid card for young savers. This Engage card is exclusive to credit unions and is just for young savers who are 8 to 16. 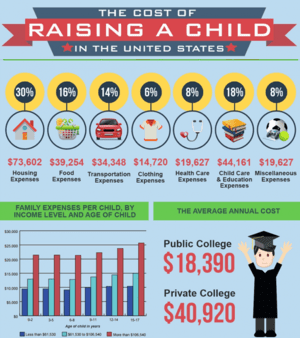 It’s designed as a means to help young people manage their finances responsibly and learn the foundation of good financial habits they can use for a lifetime. Smartcash accounts include a Visa debit card, free mobile app, online account, and many rewards and discounts that can be used on everyday purchases. There is no monthly fee to use Smartcash, and there are no charges to transfer funds from a credit union account. The Lewisham Plus Credit Union Share Account is one of the primary accounts offered by this London credit union. This account requires only £5 to join and set up. 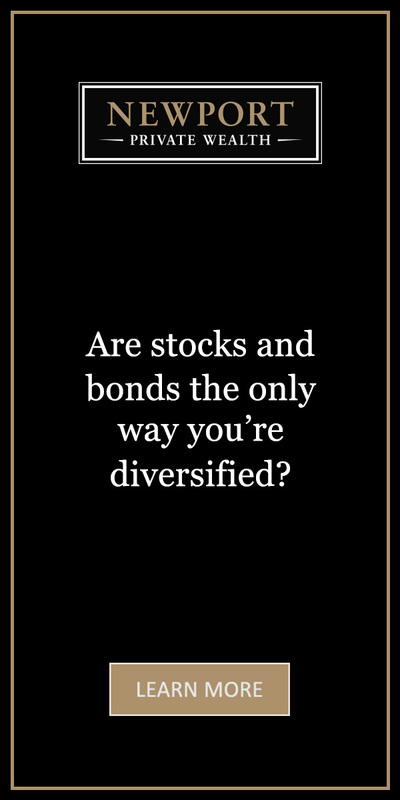 Savers receive an annual bonus dividend, and the size of the dividend is based on the percentage of savings in your account at the end of each month in the previous financial year. This means the higher the amount you save with this London credit union, the more you earn in dividends. Members can add money to their savings account online, at branches, by standing order, through PayPoint, or through a direct transfer from wages or benefits. Life savings insurance is also included at no cost to members of this London credit union. The amount of savings can be doubled by insurance and paid to a beneficiary. The success of Lewisham + Bromley as one of London’s leading credit unions is due in large part to their dedication to ethical banking and products that are simple and affordable. 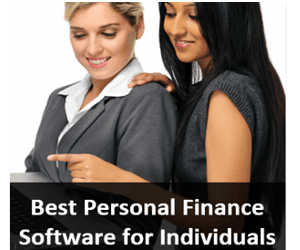 There are two primary ethical banking products offered by this credit union in London, each of which is designed to make financial management as easy as possible. 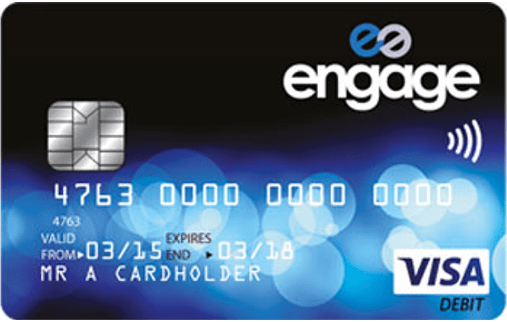 The first is the Engage Prepaid Classic Card, which is a Visa debit card that is available only from accredited credit unions. This prepaid account has no overdrafts, because you can spend only what’s in your account. It also includes cash back rewards and access to Envelope Money Management. Also available is the Engage Current Account, which is another exclusive credit union offering. This contactless debit card features faster payments, national and local incentives, and various rewards for cardholders. Financial Health Check is an independent service offered for free to members of Lewisham + Bromley. It’s a money advice service from this London credit union that’s designed to help consumers understand and manage their finances and accounts in the best way possible. To use this, members of this London credit union take 10 minutes to answer basic questions about their finances. They’re then given a personalised action plan based on their answers. This action plan highlights three things the consumer can do to maximise their money currently, and also to better prepare for the future. This service is not only complimentary but also completely objective. There are no pushy recommendations made on sponsored products. London Capital Credit Union is one of the oldest on this list, with roots dating back to 1962 when it was opened to provide a means for obtaining low-cost loans and secure saving accounts. Today, London Capital Credit Union represents one of the largest and fastest-growing credit unions in London. The members elect the Board of Directors leading London Capital Credit Union, and each member gets one vote, regardless of their deposits. It’s this model that allows this London credit union to provide a fair and democratic environment for everyone who does business there. Below are key factors that enabled London Capital Credit Union to be rated as one of this year’s best credit unions in London. 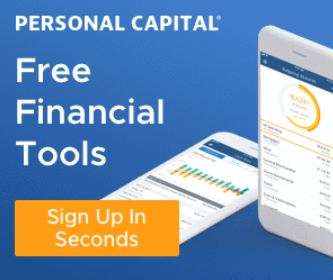 London Capital Credit Union is one of the credit unions in London that provides an alternative to expensive bank accounts through the Engage Account option. Engage Accounts include a Visa card and work like most other debit cards, and they are also accepted anywhere Visa is. As part of using an Engage account, members of this London credit union have access to Engage Envelope, which is a simple but powerful money management tool. Engage Envelope lets users place money into virtual “envelopes,” for more successful budgeting. It’s easy to set up, and money will actually be sent to the appropriate envelopes when it’s deposited into the Engage account. Through an exclusive arrangement with the Co-Operative Group, members of London Capital Credit Union can get deals on things like appliances, TVs, computers, and more. London Capital Credit Union said this partnership came about as part of their quest to always deliver the utmost in value to members. As part of this offer for members of London Capital Credit Union, the Co-Operative Group will also have old model appliances removed for free. All members do is view the prices available online and select what they want to purchase. The Co-Operative will then contact the member on the evening before the delivery is scheduled. It’s just one of the many perks that come with banking with London Capital Credit Union. London Capital Credit Union is an ethical and responsible lender, offering loans of up to £20,000 above savings, beginning at just 2.9% APR. Along with larger loans, this leading London credit union also provides smaller loans, designed to accommodate borrowers if they face a difficult or unexpected situation. London Capital Credit Union strives not to judge applicants strictly based on their financial past, but they also don’t encourage over-borrowing. There is no requirement that members come into a London Capital Credit Union office to obtain a loan. This can instead be done online, and then if the loan agreement is approved, the funds can be transferred directly to an existing account. In addition to the general benefits that come with obtaining any loan from London Capital Credit Union, certain advantages specifically pertain to homeowner loans. Homeowner loans start at just 2.9% APR, and the max is only 9.9% APR. To be eligible for the price-beating option, the applicant should provide a formal offer letter from their bank, along with their most recent mortgage statement. Members of this London credit union can choose their own repayment terms within a maximum five year repayment period. London Community Credit Union (LCCU) was established in 2000 to provide financial services to East London. It was originally known as Tower Hamlets Credit Union, and it was part of the council’s anti-poverty initiative. Just one year after its establishment, it was recognised as the fastest growing credit union in the UK. In 2010, Tower Hamlets Credit Union was rebranded as LCCU, following an expansion into Hackney, Newham, and surrounding boroughs. LCCU now has more than 14,000 members and five branches, making it one of the largest London credit unions. LCCU is one of only a few London credit unions that offers full banking services, and all savings are guaranteed up to £85,000 under the Financial Services Compensation Scheme. Below are key factors that enabled London Community Credit Union to be rated as one of this year’s best credit unions in London. Uniquely, London Community Credit Union offers Credit Union Current Accounts (CUCA). These accounts from this top London credit union feature the benefits and conveniences of a standard current account, including complete accessibility. But unlike other current accounts, they don’t carry high fees. A CUCA from London Community Credit Union includes a Visa Debit or ATM cash card, instant access to money through the LINK ATM network, and bill payments that can be made through direct debits as well as standing orders and electronic transfers. CUCA from LCCU also features online shopping, payment options, access to money while abroad, and the monthly fees are low. Flexi Credit is a signature loan product available to members of this London credit union, which offers up to £1,000, as well as low interest rates and repayment terms that are designed to be affordable. One application sets the member’s credit limit for two years. It works like an overdraft, so as the loan holder repays, they free up their available credit. They can then access that credit without completing another application. If you’re looking for complete simplicity and ease-of-use, the Instant Access Account can be advantageous. This account from this top credit union in London is designed for members who want a bank account, but don’t require something like a Visa Debit or Cash Card. These accounts can be set up so that salaries or benefit payments go directly into the account, and you can withdraw cash at a credit union branch. The Instant Access Account is free to set up, and it’s easy to both make and receive payments. You can make free bill payments, and you can access the account online or by telephone if you’re not near a branch. You can also make withdrawals in a branch up to £1,000 without notice, daily. In an effort to ensure the utmost convenience and accessibility to members’ accounts, London Community Credit Union recently introduced Online Banking. The member banking portal is secure, and it offers the ability to apply for loans and receive confidential documents and statements. The online portal from this London credit union also features options to view general account information, make transfers, and make payments at any time and from anywhere. London Mutual Credit Union is a financial cooperative for members who live in London Boroughs which include Southwark, Lambeth-Westminster, and Camden. The Financial Conduct Authority regulates this credit union in London, and it’s authorised by the Prudential Regulation Authority. The mission of London Mutual Credit Union is to provide members with access to financial services that are reasonably priced, along with the encouragement of sound financial practices. London Mutual Credit Union was established to serve employees of Southwark in 1982, and since that time, it has expanded through mergers with six local credit unions. This London credit union now serves as the only full-service credit union in the area. It is one of the largest live-or-work credit unions in London. Below are key factors that enabled London Mutual Credit Union to be rated as one of this year’s best credit unions in London. London Mutual Credit Union prioritizes keeping their services technologically up to date for its members. In order to keep up with the services offered by bigger banks, this London credit union offers mobile banking apps. Recently released, these apps are free to download and are designed to be user-friendly. It’s possible to view balance information not only for your London Mutual Credit Union Savings accounts but also Current, Loan, and Cash ISA accounts. 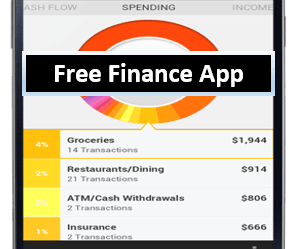 The app shows a member’s last 20 transactions on their account for a comprehensive view of their finances. This new mobile app offers added security features, transfers, secure messaging, and account inquiries for credit union members. As well as mobile apps that are packed with features and that make it easier than ever to manage your money and your accounts, this London credit union also has a complete online banking platform. This, along with the mobile app, is one of the reasons London Mutual has been included on our list of the top credit unions in London. Generally speaking, credit unions do not have a reputations for offering technology solutions for its members. This isn’t the case with London Mutual. Many of the capabilities you’ll find on the Internet Banking portal are similar to the mobile app options. Members can also use Internet Banking to open a Current Account, and they can view balance information for all of their accounts at this London credit union. As part of their mission to offer affordable lending options, London Mutual Credit Union provides a variety of loan options. Two of the newest are the Gold and Platinum Plus Loans. The Gold Loan amounts range from £5,000 to £7,499 at 6.9% APR, with loan periods ranging from 6 to 60 months. To be eligible for a Gold Loan, the applicant should have excellent credit and have a monthly take-home salary of at least £1,500. The applicant should also be employed full-time and be either a tenant or homeowner. The Platinum Plus Loan comes in amounts ranging from £7,500 to £15,000 at 5.9% APR, with repayment periods from 12 to 60 months. London Mutual Credit Union is one of the names on this list that does offer current accounts, which are affordable, customized for unique lifestyles, and let members easily access their money without paying high fees. With a current account, members of this top credit union in London can have their wages, benefits, or pension deposited directly into their account. It also offers access to money through the Link ATM network, and a credit union loan from LMCU can even be paid directly into this account. You can pay your bills with a Current Account, pay for things anywhere a merchant accepts Visa, and there are no hidden charges. Another great benefit of opening a Current Account is that users can easily integrate Online Banking tools to stay on top of their finances. With Online Banking, members can choose to turn text alerts for ATM cash withdrawals on and off, helping to keep track of their account balance and maintain a personal budget. London Plus Credit Union is one of the top credit unions in London, having been established in Fulham in 2008. This London credit union has grown quickly since it was established, and the goal is to create products and services that are in line with the needs of the communities served. The field of membership is pretty broad for London Plus Credit Union. It includes residents who live or work in London boroughs including Hammersmith & Fulham, Kensington and Chelsea, Wandsworth, Hounslow, and the City of Westminster. Membership with this London credit union is also open to employees or residents of certain housing associations. Below are key factors that enabled London Plus Credit Union to be rated as one of this year’s best credit unions in London. One of the many ways London Plus stands apart as a London credit union is through the provision of Budget Accounts. Budget Accounts provide a simple and easy way for members to divide their funds into “pots,” so they don’t overspend before a payment or bill is due. This credit union in London will work with the member to determine how much should go into each pot and what will be done with the leftover money. Options include having it transferred to a card account or an external account. The benefits of these Budget Accounts include the ability to manage money more effectively, make bill payments on time, and improve your credit rating. It’s also a great way for members of this London credit union to set not just personal spending objectives, but also savings goals. The Ethical Charity Bond from London Plus provides a unique way to save money. When you invest in one of these Charity Bonds, your money is “ethically recycled.” What this means is that you hold a bond for at least a one-year period, and then this London credit union will distribute earned dividends back to support a local charity. In addition to this unique savings program, this London credit union also features a variety of other flexible, accessible savings programs with competitive returns, and free life insurance on savings. Since it operates as a member-owned financial cooperative, London Plus remains dedicated to the well-being of its members. This credit union in London also understands that challenges can come up and make it difficult to repay loans. When members are in a genuine difficulty, London Plus strives to help them find solutions. London Plus recently announced the introduction of the Cash ISA, which affords members of this London credit union with the opportunity to take advantage of tax-free savings through payroll deduction. This was launched with some of the London Plus payroll partners, and members can invest as much as £15,240 in an ISA every tax year, which runs from 6 April to 5 April the following year. With a Cash ISA, the member doesn’t have to pay taxes on any interest earned, and this credit union in London provides competitive interest rates. National Fire Savers Credit Union was established in 1998 as a credit union for the London Fire Brigade employees. In 2015 – 2016, Fire Savers had more than 2800 active members, as well as over £8,000,000 in savings, and assets of over £9,000,000. All of the National Fire Savers accounts are independently audited yearly, and as with all credit unions in the UK, are authorized by the Prudential Regulatory Authority. Under coverage from the Financial Services Compensation Scheme, eligible depositors are protected up to £85,000, and for joint account holders, each is treated as having their own individual claim. Below are key factors that enabled National Fire Savers to be rated as one of this year’s best credit unions in London. National Fire Savers is a unique credit union in London because there is a focus on no-frills, straightforward service, but at the same time, technology is available to make things more convenient for members. National Fire Savers maintains an online banking portal that’s free and easy to sign up for. Here, members are not only able to check their balances 24/7, but they can also view a mini version of their statement, and make transfers. By logging onto National Fire Savers online banking, members can apply for a loan, change their personal information, request or print forms, and send questions in a secure setting. Savings is perhaps the number-one focus in terms of all products and services available to members of National Fire Savers. One of this London credit union's most popular savings accounts is Savings Plus. Savings Plus Accounts are excellent for members of this London credit union who are looking for something extra and who can put their money into a savings account for a longer period of time. With Savings Plus, accounts can be opened with a minimum balance of £1,000, and an enhanced dividend is then earned. This account from this London credit union earns at least 0.25% more than the basic Membership Account. Savings aren’t attached to loans, so they can be withdrawn whenever the account holder chooses. When you opt to deposit your money with this London credit union, you’re getting the advantage of what many people believe is the biggest benefit of a credit union: the increased dividends paid on deposits. Any surplus money this London credit union makes in a year is reinvested as dividends, which represents a benefit for the member-owners. Along with being competitive with the bonuses that can be earned, National Fire Savers also strives to be transparent with what members can expect, so they publish yearly charts of the dividend percentages paid on the main accounts. There are several different types of loans available to members of National Fire Savers, suitable for a wide variety of needs. The credit union features an online calculator to help members determine the loan and terms that are right for them. Everyday Loan: This is a loan that ranges from £50 to £1,500, with terms ranging from 1 to 12 months. Member Loan: Loan amounts vary from £500 to £7,500, and terms range from 1 to 48 months. 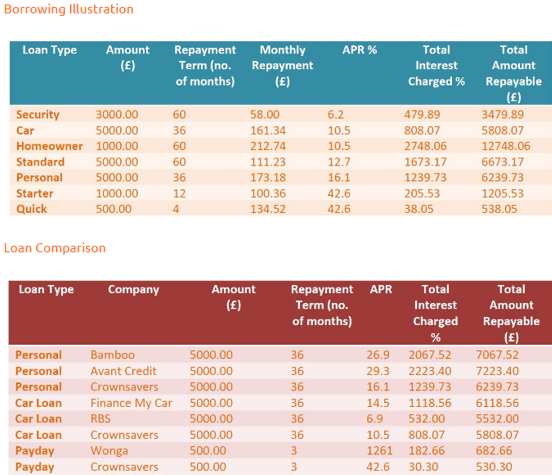 The interest rate is tiered, depending on the sum of the loan. Affiliate Loan: Higher loan amounts are available with the Affiliate option, up to £20,000, with terms varying from 1 to 60 months. Also available are the Non-Affiliate Loan and the Savers Loan. For more than 20 years, North London Credit Union has served the financial needs of the community’s residents. Established in Enfield in 1994, NLCU promotes sound financial management through responsible lending and encouraging its members to save money. Membership with this London credit union is free and open to individuals who live or work in boroughs including Enfield, Barnet, Haringey, Waltham Forest, and South Hertfordshire. NLCU strives to be a financial institution that’s is run by and for the members. This London credit union also focuses on transparency and open reporting of all facts and figures demonstrating performance. Below are key factors that enabled North London Credit Union to be rated as one of this year’s best credit unions in London. Something offered by NLCU that’s distinctive from other London credit unions is their loans designed specifically for start-ups and new businesses. The Start-Up Loan Programme is designed for businesses that have been operational for 1-2 years. North London Credit Union has been providing financing to businesses since their founding, and most types of businesses are eligible as long as they can demonstrate they’ll be able to pay back any loan. NLCU also serves as referral agents, but doesn’t charge the borrower for this service. A core concept that drives the services and products available from this leader among credit unions London has to offer is that they believe everyone benefits from saving money. All deposits are fully protected by the Financial Services Compensation Scheme. The money is reinvested into the local community as loans, so it’s helping other people while you’re saving. If you want to make a withdrawal and have the available funds, the credit union makes it easy. As a member of NLCU, you have rights, including the right to attend Annual General Meetings. NLCU offers savers loyalty rewards for banking with them. These rewards include lower rates and higher limits on future loans. 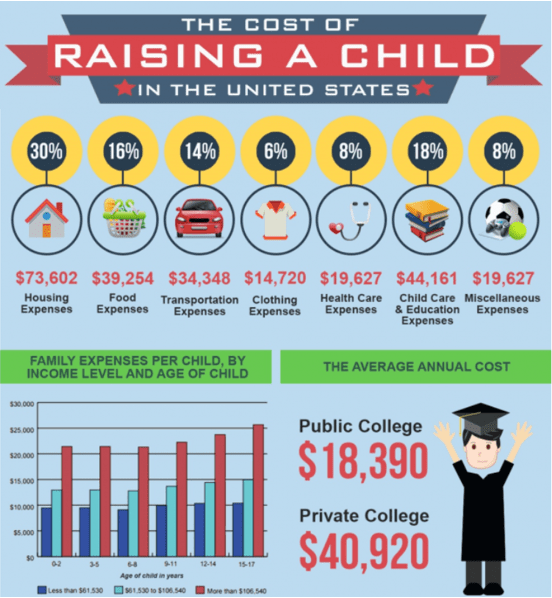 Good financial habits start at a young age. Any UK based relative of a member of this London credit unioncan sign up for the Junior Savers Account. The account offers the opportunity to earn interest on balances up to £2,500. With a field of membership open to people who practice the Pentecostal Faith, as well as their families and certain affiliated church groups and businesses, the Pentecostal Credit Union (PCU), is one of the most respected credit unions in London. This London credit union was designed to provide an ethical financial alternative for community members. The guiding principle of this unique credit union in London is tapping into wealth in order to build a better future for the communities served. Below are key factors that enabled Pentecostal Credit Union to be rated as one of this year’s best credit unions in London. PCU introduced a Membership Referral Program. This program is designed so that current members can encourage their family members, friends, or co-workers, to also join the credit union and reap the benefits as a result. When you’re an existing member of PCU, and you refer five new members, you’ll receive a £50 credit to your account. This is an excellent way to strengthen the community, allow your friends to understand the advantages of working with a credit union, and also earn extra money in the process. Savings is at the core of everything that PCU does, which is the case with other London credit unions as well. The goal of this London credit union is to help them create a habit of saving. Those savings are then used as a pool of resources for members when they need financing. Members of PCU can start saving with as little as £5 and create a savings schedule that works for them, whether that be weekly, bi-weekly, or monthly. Savings can be withdrawn at any time, and members become eligible to apply for a loan on their first day of membership. All member savings are protected by FSCS up to £85,000. PCU offers a variety of loan options, as well as associated tools. One of these tools is a loan calculator that shows what a loan would cost if you were paying an interest rate of 1% a month on a reducing balance. As an ethical financial co-op, PCU offers loans at an interest rate of no more than 1% per month (12.68% APR) on outstanding balances. There is no penalty for prepayment of a loan, and when an emergency request arises, PCU notes that they will look “sympathetically” at a loan application. The Pentecostal Credit Union is unique because it's founded on religious values. There is a focus on maintaining traditional ethics and morals, but at the same time, this London credit union doesn’t sacrifice in terms of innovation in its delivery of services to members. One way they make saving money and managing loans more efficient for members is through an online account management system. Through this system, members of this London credit union can sign up with some information including their member number, address, and birthday. Once they do this, it becomes even more effortless to manage all of the accounts they have with PCU. Also available is the option to receive environmentally friendly electronic statements. After exploring the names on this list of the top London credit unions including London Mutual Credit Union, London Capital Credit Union, and National Fire Savers Credit Union, it may not be difficult to understand why these alternative financial institutions hold such appeal for consumers. London credit unions are built on promises of ethics, transparency, and shared benefits for all member-owners. London credit unions also operate with the primary goals of helping members to strengthen their finances and achieve their savings goals. Unlike other conventional financial institutions and lenders, which are often seen as focusing on their bottom line and encouraging borrowers to take more than they can afford in loans, credit unions serve as a partner and an advocate for their members. It’s really not just about having a place to store your money or obtain financing when you work with one of these London credit unions, but is instead about learning how to manage your money in ways that are going to be most beneficial to you presently and into the future. The names on this list of the top London credit unions are also unique because they’re community-centric, and their work revolves around strengthening the areas they serve.